My buddy Ryan started a little business this past summer that is really starting to take off. It's called Hawaii Beach Time and they cater to the needs of vacationers out here in Hawaii. The service is simple. 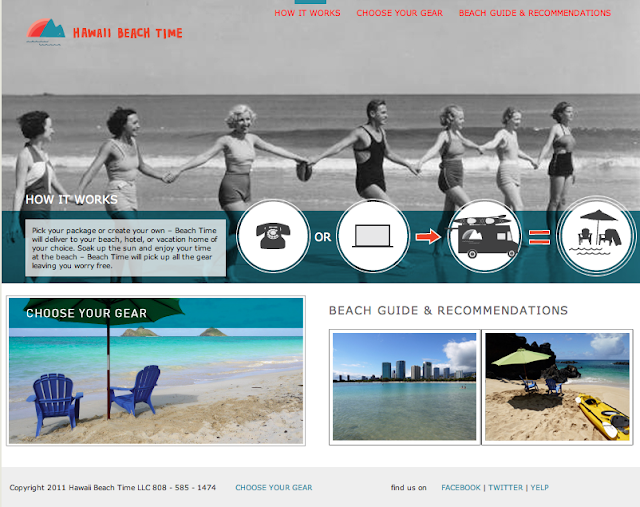 You call them up and have them meet you at your preferred beach and you get to choose what gear you want to rent from them. You can get anything from a cooler filled with ice, umbrellas, beach chairs, kayaks, surfboards, stand up paddle boards, etc. I love the entrepreneurial spirit and this unique service is one that has been overlooked here in Hawaii. He has deals with some big hotels and he keeps getting new ones signed up every week. Pretty Rad. Click here for the website.